With warmer weather upon us, water fun is a must for families and kids! 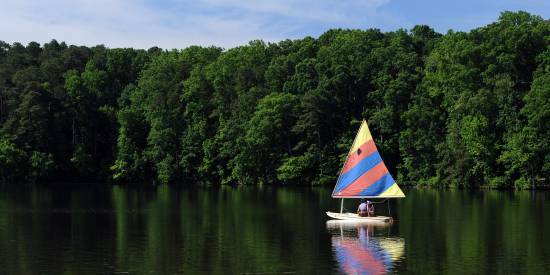 From splash pads with giant water buckets and plenty of sprinklers to lake beaches with beautiful views, here are some of the best places to get in the water in the Raleigh area. One of the largest recreational facilities in the state, Falls Lake State Recreation Area is a collective of seven access areas scattered around the shoreline of an undeveloped, 12,000-acre reservoir. Bring a picnic and head to the Beaverdam access, which offers a sandy swim beach area and a separate, quiet lake reserved for kayaks, canoes and stand-up paddleboards. Sandling Beach also has a swim area, plus grills and picnic tables for parents to cook up and serve hot dogs and hamburgers in the summer sun. Charged daily Memorial Day-Labor Day, holidays in April, May and Sept. and on weekends. The Fuquay-Varina Splash Pad offers hours of outdoor water fun and entertainment for the kids! Located inside South Park, the splash pad features 6,000 square feet of multiple ways to get drenched. From over-sized water buckets dumping waterfalls every few minutes to water guns and misting tunnels, it&apos;s impossible to avoid getting soaked. Your kids are sure to have a blast here. This year, the splash pad introduced two new water features and began accepting credit card payments. Jack Smith Park offers splash pad action in the town of Cary. This park has it all, including a playground for those who want to stay dry and a sprayground for those who don’t. The sprayground—for ages 12 and under—has seven features including water jets that shoot up from the ground, giant water buckets and spray hoses. The park also has a climbing boulder for inexperienced climbers all the way to the experts. Take a picnic and also walk one of the greenway trails with public art! 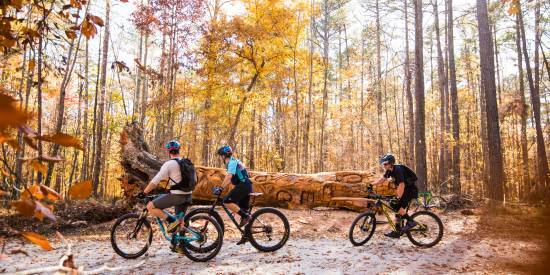 Fun in the sun is what summer is all about, and the Town of Wake Forest&apos;s Taylor Street Park is the perfect place to take your kids for outdoor activities. 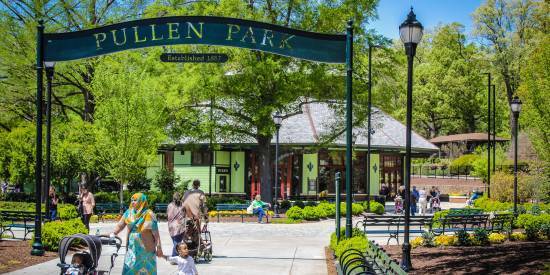 This one-and-a-half-acre park is sure to please any kid! In addition to the playground, Taylor Street Park Sprayground—which just opened in Sept. 2017—features 16 jet streams, a tot mister, an Ombrello Twirl, buckets and 11 more features. Check out this video to see a good bit of the park. After some water fun, have a picnic and relax under the picnic shelter, or bring meats and veggies to barbecue and use one of the grills available. Date open (2018): Mid-April through mid-Sept.
A great escape from the summer heat, the Buffaloe Road Aquatic Center is an indoor water park featuring a 6,000-square-foot pool, a three-story water slide and a circular water vortex that spins you around. Parents can have a little relaxation at the aquatic center’s bubble bench, a bench with massaging bubbles, while their kids splash around at the current channel, water curtain and dumpers. The center also offers three lap lanes to be used for exercise and a tot play area with a small slide for those with younger children. Raleigh&apos;s Lake Johnson Pool at Lake Johnson Park offers not only a lap and recreation pool but also a large baby pool with a refreshing shower tower and a sprayground. The sprayground includes sprays of all sizes, hoses to move around, huge buckets and plenty of other features make it a fun spot for kids to play outside and stay cool. Water-buckets of fun are ahead a Millbrook Exhange Pool! Located in Millbrook Exchange Park, the main pool is open year-round, covered by a fabric tension structure. 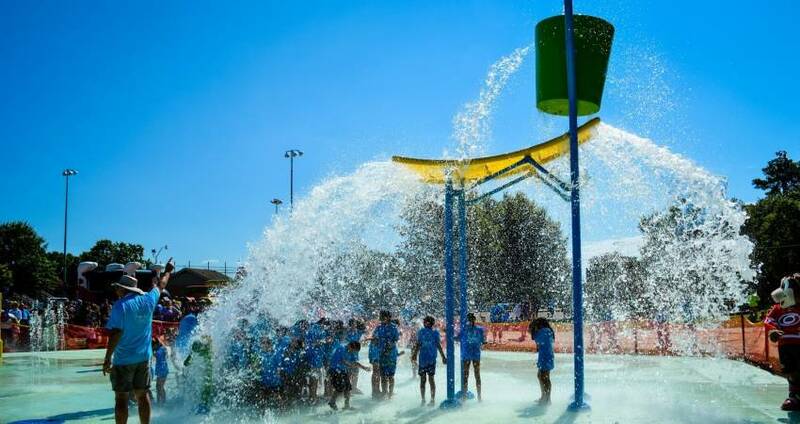 The extra fun for kids comes with the wading pool (from 10 inches deep to 18 in the middle) and the sprayground, which has fountains to run through, giant water buckets and more. Another fun one for the kids! Raleigh&apos;s Ridge Road Pool offers up a wading pool and splash pad like Millbrook and Lake Johnson. At Ridge Road, the splash pad and wading pool are side-by-side (not separated by a fence), so toddlers can move to one from the other freely! Even more pools and spraygrounds! Also, adults and older kids can get some laps in at the open-to-the-public, 72,000-square-foot Triangle Aquatic Center in Cary, with a 50-meter eight-lane competition pool, 10-lane 25-yard pool and warm water teaching pool.